This is the time of year when the holidays go into full gear and we’re all about celebrating the season! My son’s school had a holiday party where students were asked to bring a dish to share for lunch. Teachers would also be participating so I knew my son had to bring something that both kids and adults would appreciate. 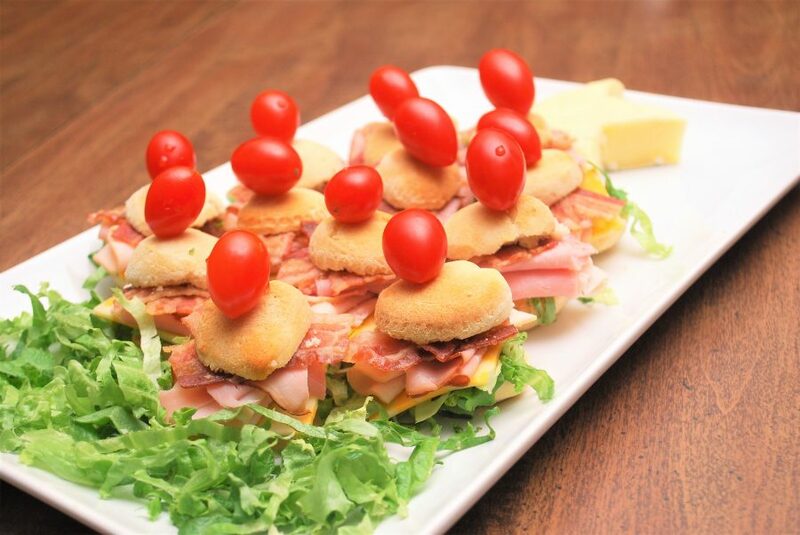 Since my son loves his daily sandwiches for lunch, I gave it a little festive spin and made these Holiday Mini Club Biscuit Stacks. They are small finger sandwiches that were easy for everyone to eat, didn’t require any heating and perfect for the party. I especially loved how quick these Holiday Mini Club Biscuit Stacks were to create! My son and I worked on these together, so these are definitely a great way to get the kids involved in the kitchen. You can make your favorite biscuit recipe but to save time, I used canned biscuits that I cut into quarters. Once baked and cooled, I split each mini biscuit in half and spread one side with a little mayo and mustard. 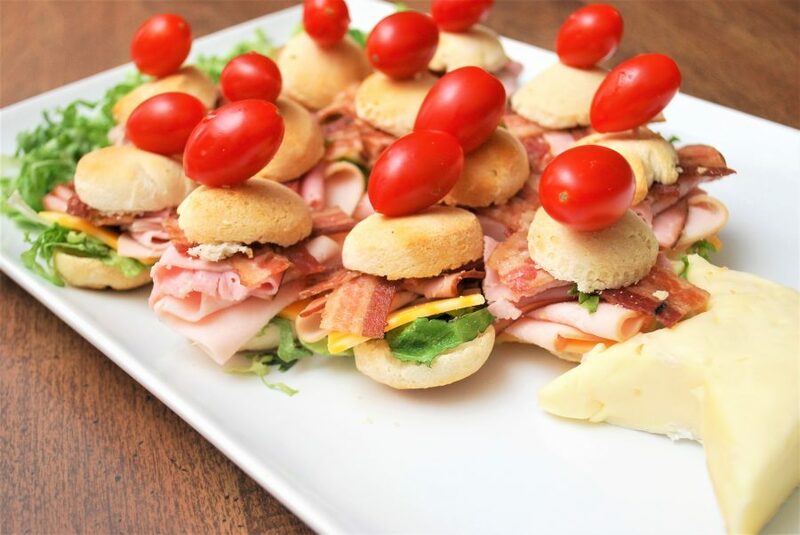 Next, I placed a bit of shredded lettuce on the bottom and began to stack all the ingredients for a turkey club, including Sara Lee® Premium Honey Ham, Sara Lee® Premium Honey Roasted Turkey Breast, crisp bacon and cheddar cheese. Sliced tomatoes tend to make sandwiches soggy, so instead, I secured each biscuit stack with a toothpick and a grape tomato topper. 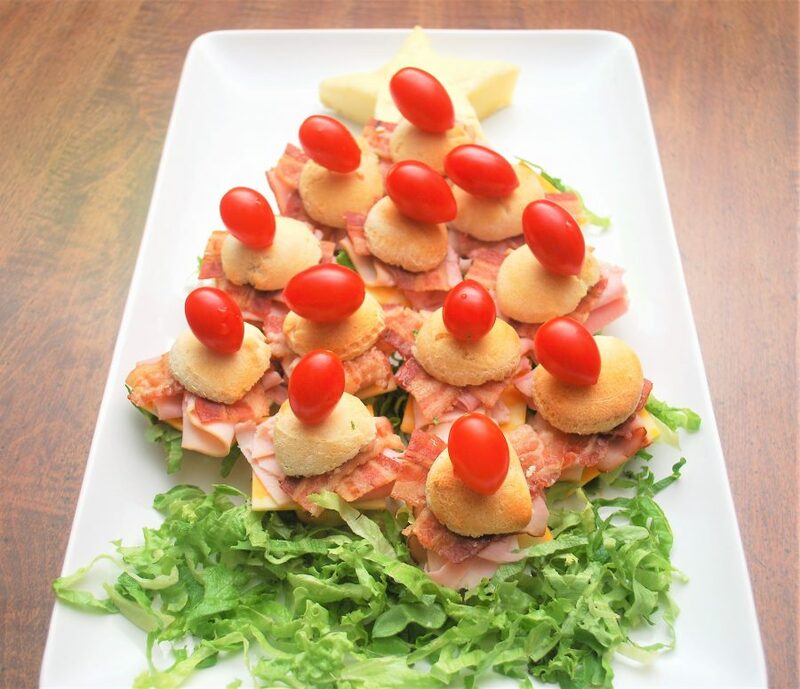 For a festive touch, I arranged them in the shape of a holiday tree with some shredded lettuce for additional garnish. 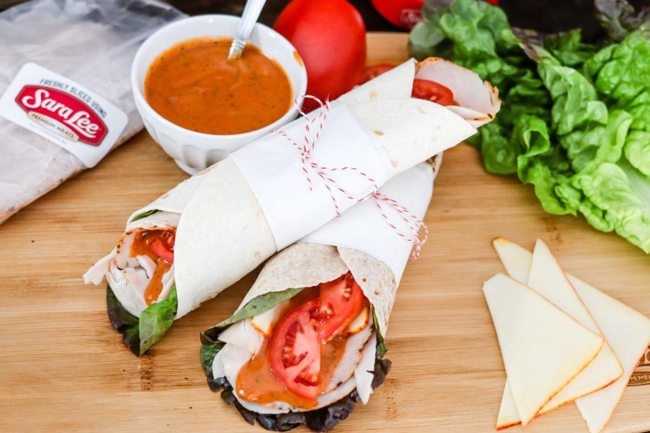 The sandwiches were a delicious hit with the kids, and the teachers loved that they were light, fresh, flavorful and a healthier option among the potluck offerings. Fellow parents loved that these could be made with the kids, too. 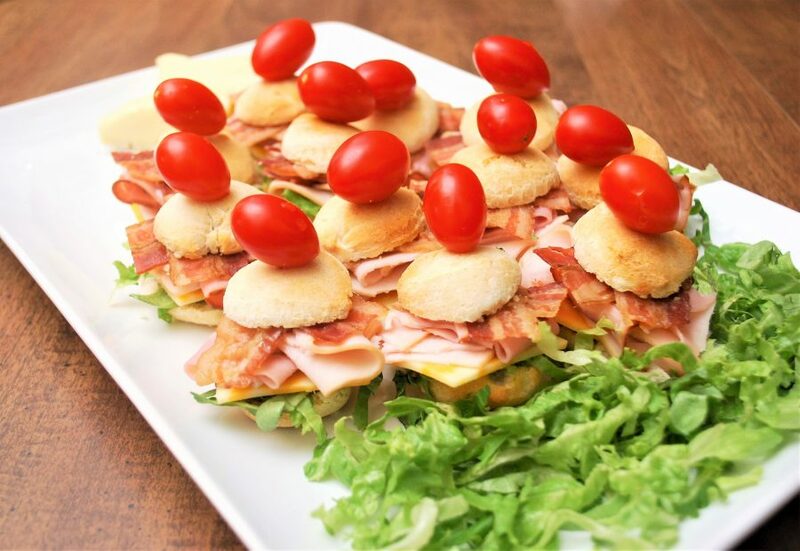 I would also attribute the success of the Holiday Mini Club Biscuit Stacks to the use of Sara Lee® Premium Deli Meats! 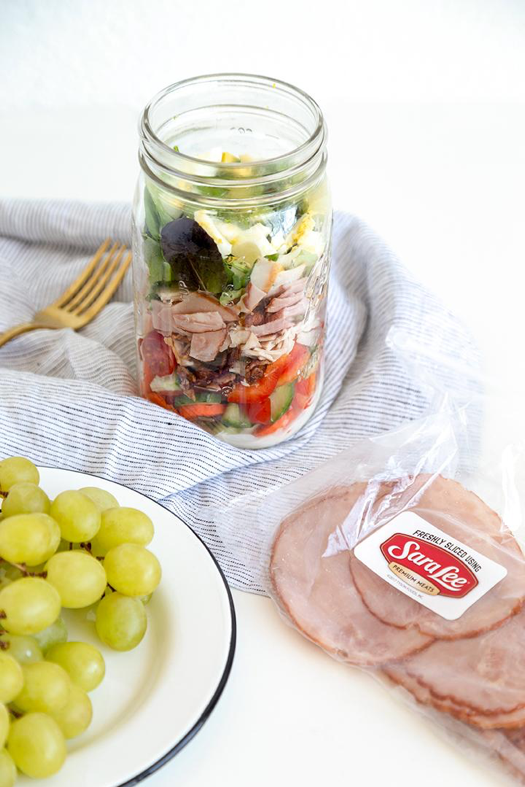 With a variety of high-quality cuts of meats and ingredients to choose from plus new trending flavors to try out, Sara Lee is what I choose for our daily lunch sandwiches and for holiday recipes like this! 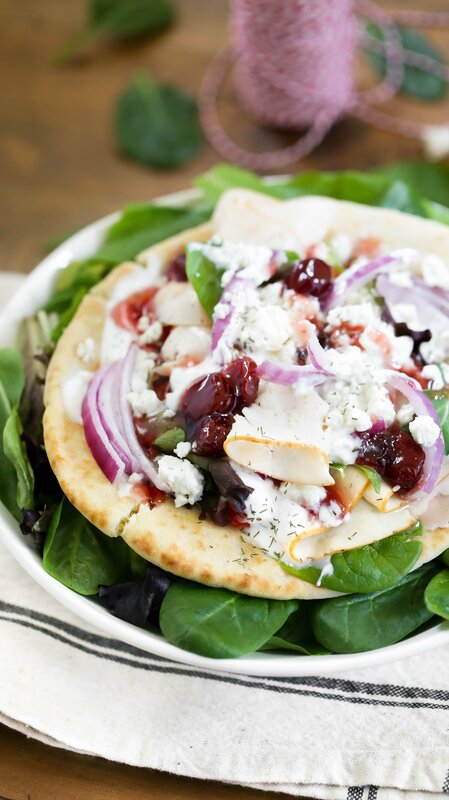 For more tasty ideas, check out the Sara Lee Solutions page – https://saraleedeli.com/solutions. Step 1 Spread some mayonnaise on the inside of one biscuit half. Step 2 Spread some mustard on the inside of the other biscuit half. Step 3 Top the bottom biscuit with shredded lettuce. Step 4 Top the lettuce with a piece of cheese. Step 5 Top the cheese with a piece of Sara Lee® Premium Honey Roasted Turkey Breast. Step 6 Top the turkey with a piece of Sara Lee® Premium Honey Ham. Step 7 Top the ham with 2 pieces of bacon. Step 8 Top the bacon with the biscuit top. Step 9 Secure the sandwich together with a toothpick. Step 10 Top each toothpick with a grape tomato. Step 11 Repeat with remaining biscuits. Step 12 Arrange the Holiday Mini Club Biscuit Stacks on a platter and serve.